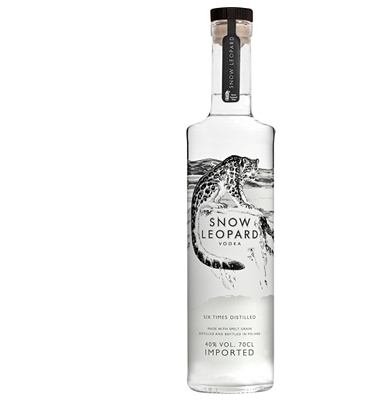 A Polish vodka, Snow Leopard is a premium vodka, made from spelt grain which is distilled six times and made in small batches. Spelt grain is sometimes known as one of the best grains, being first farmed over 5000 years ago by the Egyptians. Aroma: Minerally, wet stone with a hint of brown paper/cardboard/marker pens. Taste: Again mineral. Clean and dry with a kick from peppery spice. Herbal grass notes and the merest hint of liquorice and woody nuts finish the taste off. Aftertaste: Clean, cracked black pepper with light liquorice.